Join Pink Zebra for $39! 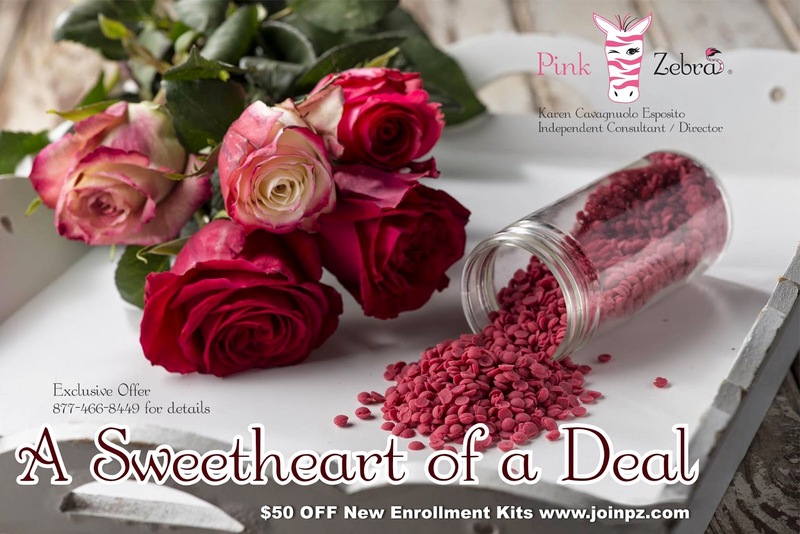 with a huge rebate on Pink Zebra enrollment kits! 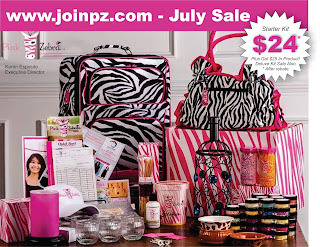 Choose either the Pink Zebra Starter Kit priced at $99 or our Deluxe Business Kit priced at $199. Its EZPZ. Choose the kit you would like to purchase. Pay the price listed either $99 and $199. After you have successfully signed up to be a Pink Zebra Consultant. I will receive notification via email that you have enrolled. Once I receive confirmation, I will paypal you $60 back! Making the starter kit just $39! Have questions? Just give me a call at 877-466-8449. I would love to have you on my award winning team! Change Your Fragrance, Change Your Life! Yes you read it right!!! Deep Discount today Cyber Monday on Pink Zebra enrollment kits! How does this deal work? Simply go to my website at www.joinpz.com and sign up at full price. Choose either Pink Zebra Business Kit. The sale is on either kit! After you have signed up I will receive and email notification confirming your enrollment. I will then paypal you back the $70. Please message me at karen@thezebradiva.com or call me at 877-466-8449 and give me your paypal email address to send the $70 too. Buy yourself a business this Christmas!!! 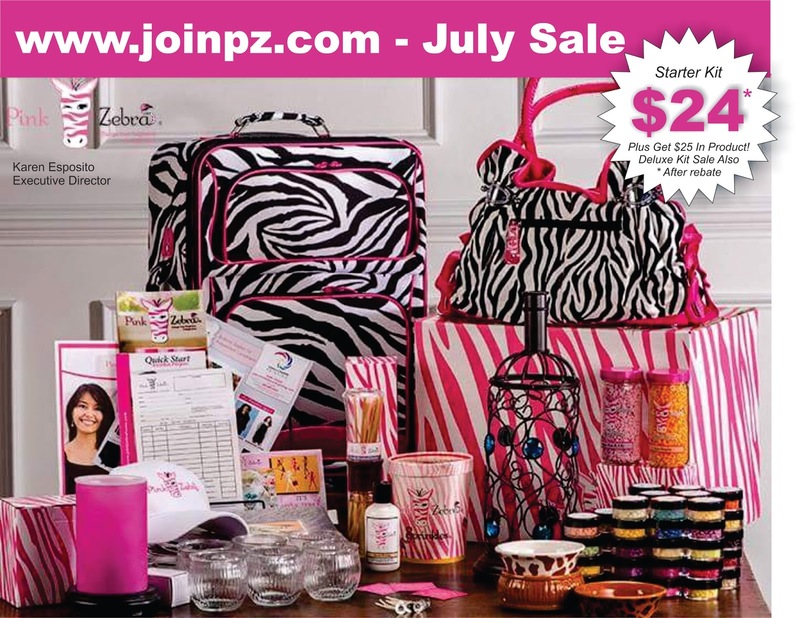 $29 is an incredible deal to become a Pink Zebra Consultant. I offer mentorship, and training so you can reach your goals. Whether they be part time or full time I can help you succeed! 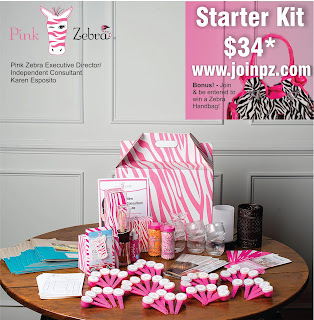 Sign up Now for your $29 Pink Zebra Starter Kit!! My kit offer of $25 is a rebate offer. You will need to pay the upfront cost of the kit and I can then rebate you $50! Thats a win win!! Introducing Pink Zebra's Newest Product - Lotion that You Can Fragrance Yourself! Exciting news! Pink Zebra has done it again! In keeping with our philoshy to make everything truly uniquely yours - Just Add Soaks Lotions. It's EZPZ. To create your your lotion scent simply add a few squirts of your favorite Soaks fragrances to our hydrating lotion, shake well and voilà you have a personalized scent that is uniquely yours! Coming Soon to your Independent Consultant. 1) Anyone can do it! 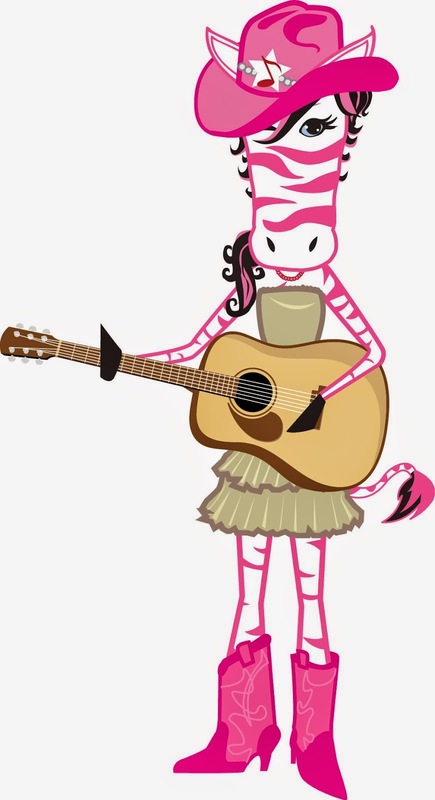 There are no educational or professional experience required to sell Pink Zebra. A Pink Zebra Business is perfect for anyone including students,college graduates, stay-at-home parents and those with little or no workhistory. The only qualification that you need is motivation! 2) You'll make lots of new friends! 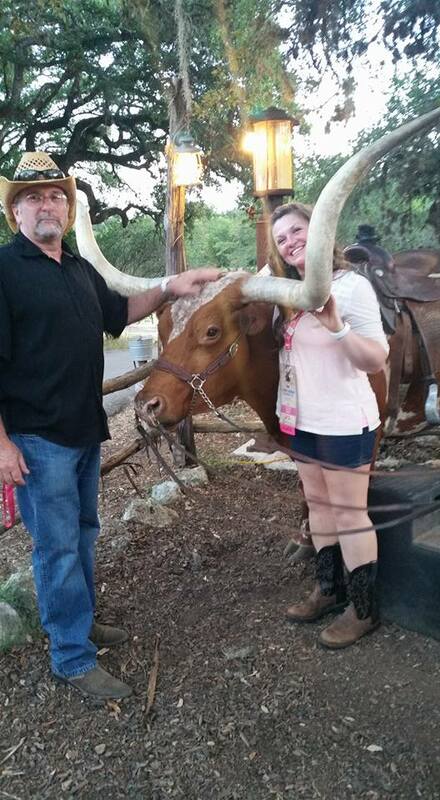 Starting a Pink Zebra Business will require you to meet and socialize with people. You'll meet other men and women from all over the US. I've made lifelong friends thanks to my Pink Zebra Business that I never would have met without it. 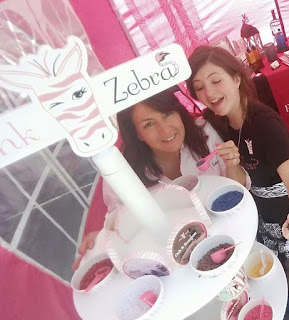 3) A Pink Zebra Business is extremely flexible which is why it's so appealing! You can choose how often or little you work depending on your personal business goals. You can choose to market your business online orthrough parties or a combination of both. The point is you are in control! 4) It's just plain, FUN! Pink Zebra Products are so much funto sell! Scents evoke memories and create a fun environment to work in. Besides, every time we go to work....it's a party! 5) There is a lot of money to be made! In 2012, the direct selling industry sold around $31 billion dollars worth of products Your earnings will reflect the amount of time that you spend working your business. Part time work with full time pay. Have financial freedom. 6) Unlike starting other small businesses- it doesn't takemuch to start a Pink Zebra Business! The Pink Zebra Starter Kit is only $99plus your local tax and shipping. 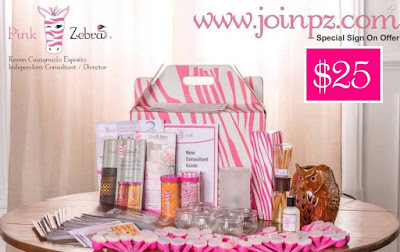 The Pink Zebra Kit contains over $240 worth of products and business supplies. You'll earn back the cost of your kit once you sell your first $500 in products which can be just one party! 7) Pink Zebra home products are consumable! If you are going to join any direct sales company you want a product that your customers will keeping back for. Repeat customers are a must and with Pink Zebra you will have plenty. 8) Pink Zebra is family-friendly! Your kids can help package orders and attend events with you. Plus, they'll love picking out theirown warmers and creating their own scents with our soy sprinkles. 9) Pink Zebra gives you FREE products,prizes and more! As an Independent Pink Zebra Consultant you can host your own Pink Zebra Parties and earn free products. Our party hosts also earn free products. You'll also have the opportunity to earn free prizes and trips! Yes, trips! You could earn free trips to places like Punta Cana, Jamaica as I have. 10) Me as your sponsor! I started with Pink Zebra shortly after they opened their doors for business so I have much experience to share with you. 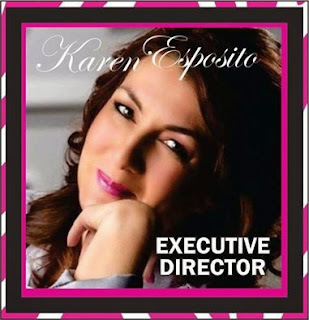 I also have over 15 years of direct sales experience and am the most awarded Pink Zebra Consultant to date so you can rest assured that I'll be the best sponsor I can be for you. If you join my Pink Zebra team, I'll be here to guide, mentor and praise you! I will help you start your business and take you to the top as I have. Ready to join? go to http://www.joinpz.com and sign up! Ready to sign up to become a Pink Zebra consultant now? go to http://www.joinpz.com and choose your enrollment kit. I am offering $50 off either kit!! Pink Zebra Soaks Arriving Soon! I am super excited to be presenting our new category line at the upcoming Pink Zebra Rally! This will be a whole new product category for Pink Zebra. So if you are thinking about becoming a Pink Zebra consultant, now is the time to join us. This new product is going to be a huge hit. Everyone will be wanting them and they are only available from Pink Zebra. Get started with your Pink Zebra career now. And get ready to SOAK it all up!!! Our Pink Zebra Team Now 6000 Zebras Strong! So excited to announce that my amazing Pink Zebra Team, hit a milestone over the weekend. Our team has grown so much during my 3+ years with the company. It has been a wonderful ride. 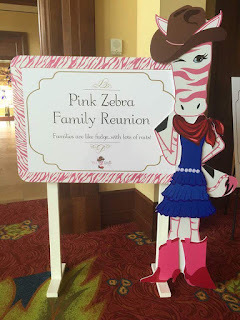 I can remember when I first signed up to be a Pink Zebra consultant there were only 100 zebras and now the company has exploded to over 20,000 zebras nationwide. The company still has lots of ground to cover though with many areas in the US not familiar with our great home fragrance products. There is much room for growth making Pink Zebra a great business opportunity. Pink Zebra consultants come from all walks of life. We have people who work their business part time, those that work it full time like me, and those who are hobbyists. Teachers, nurses, stay at home moms and dads all enjoy the benefits of being a Pink Zebra consultant. Our generous career plan makes it possible to stay at home and work your business and quit that day job. 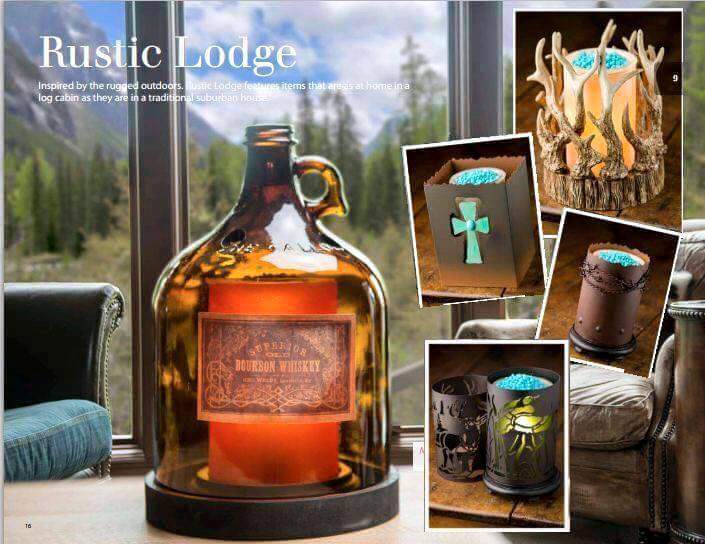 by Pink Zebra Home Candles & Sprinkles - Independent Consultant- Karen 877-466-8449. I love to do contests with my Pink Zebra team! This months contest was called the Product Selfie photo contest. The team had to take a photo that included them plus a new product simmering lights shade. The most creative entry wins. 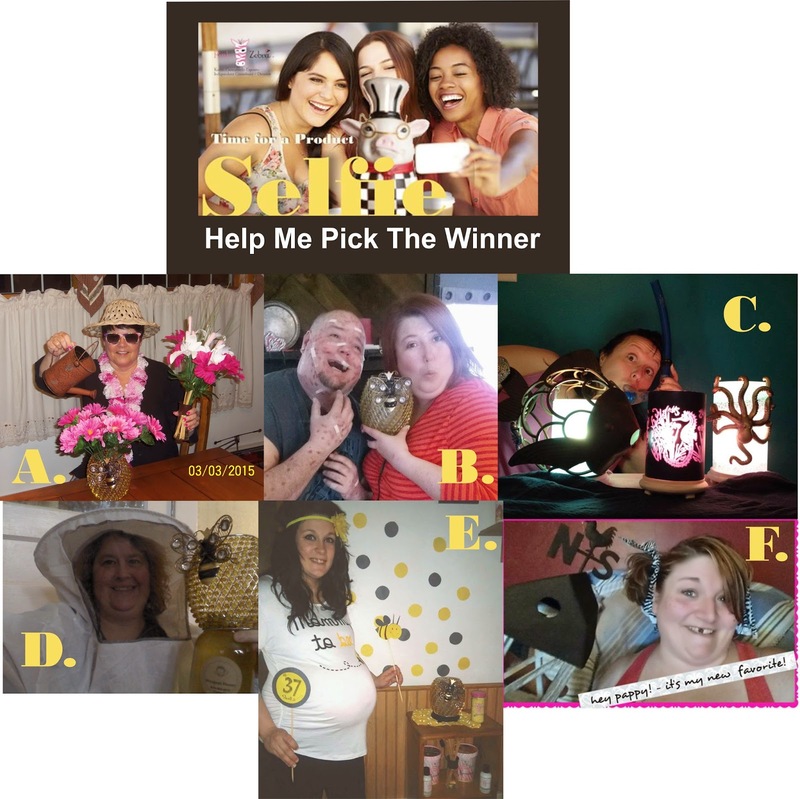 I had lots of great entries and had the tough choice of narrowing it down to these six finalist shown. Please go to my Facebook Pink Zebra business page, link is shown above to vote for your favorite Pink Zebra product selfie. Pink Zebra Consultant how does it work? your kit cost that makes the starter kit FREE. Offer can not be combined with any other kit special. One offer per consultant. Join Pink Zebra for FREE - What are you waiting for join Pink Zebra Today and get all the benefits of becoming a consultant. Flexible schedule, great pay, trip and prize incentives, insurance benefits and more! Wouldn't you love to be in business with your spouse or significant other? Pink Zebra Home has many couples enjoying flexibility, family time and financial success together! 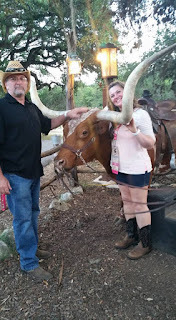 My husband and I are a great example. 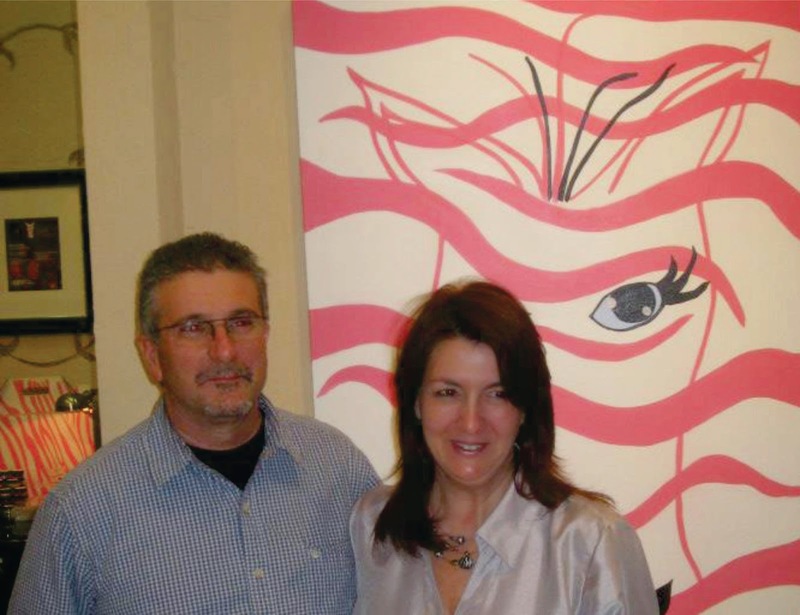 I am a director for Pink Zebra and my husband is also an Executive Manager, two of the highest positions in the company. It is a great feeling to know that you have the support and backing of your significant other. Running a home based business can be very rewarding in of itself but running the business as a team working together is even better. In a predominately female based world, it is welcoming to see more and more men attracted to this industry. After all to be a customer all you need is a nose - that leaves us with a huge potential customer base! 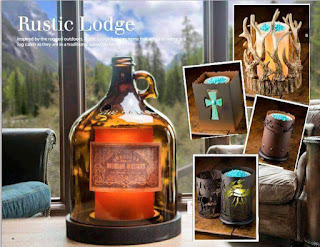 Men love home fragrance just as much as woman do. Not only do they love our fragrances and soy sprinkles they love the potential Pink Zebra can bring them as well. More and more men are realizing just how much money there is to be made with Pink Zebra. It is a great business opportunity and with such a low start up investment you would be crazy not to give it a try. 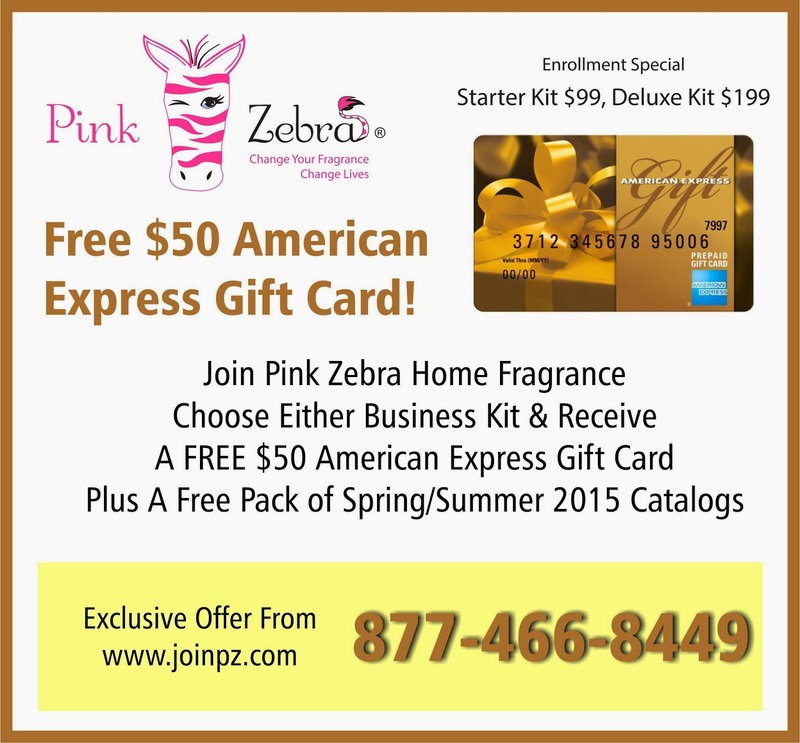 Starter enrollment kits for Pink Zebra start at only $99. 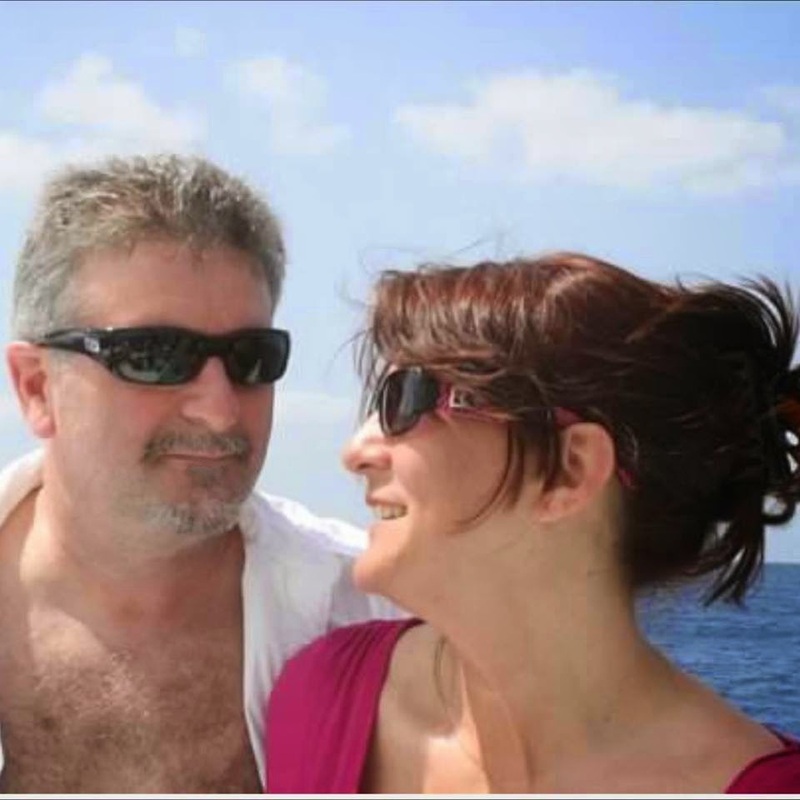 The earning potential for couples starting their own Pink Zebra home based business are also very attractive. Our directors average a take home pay off 100 K or more, nothing to sneeze at. "It may be PINK but the money is GREEN"
If you are thinking of joining Pink Zebra or any home based business give us a call. We would love to talk to you and tell you just how rewarding starting your own home based business can be. 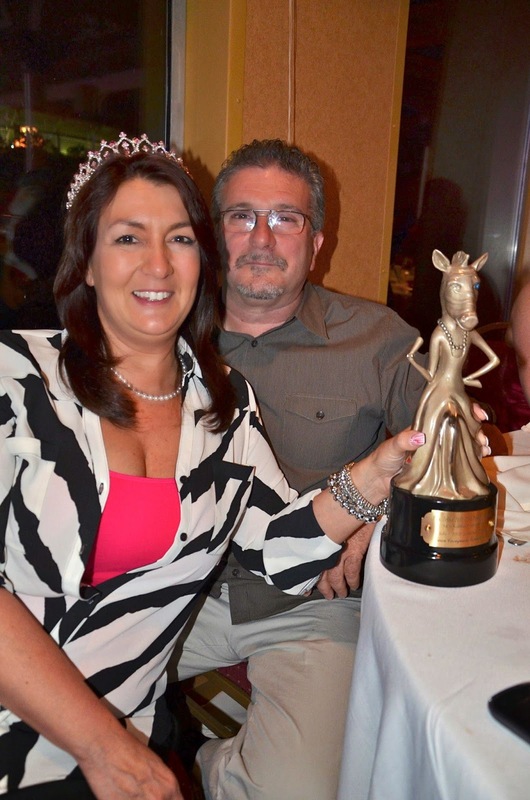 Be Part of An Award Winning Team!